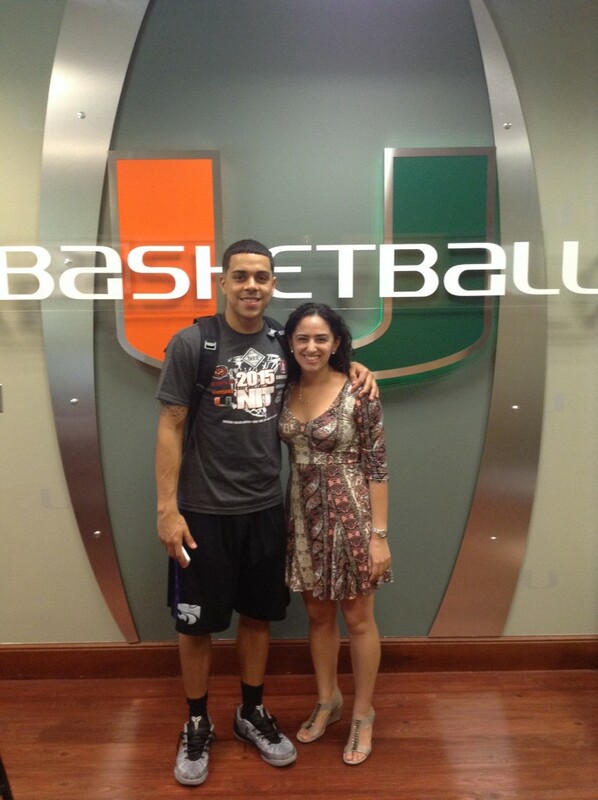 If you are trying to find University of Miami Canes Hoops point guard Angel Rodriguez on his days off, you can find him at the beach. Where you can’t find him? Twitter and Facebook. That’s right, gals and guys. It’s time for rumor control here at UBuzz. My response should have been “Sing to me, Angel!” but I was still too caught up in the fact that someone has been posing as UM’s down-to-earth and honest point guard. I seemed to be more affected by this poser than Angel, though. “No that’s not me either,” he answered. “You’re fan page isn’t you?” I asked in disbelief. “No way,” I said, still shocked. “I’m serious,” Rodriguez said laughing. Why was I so stunned? 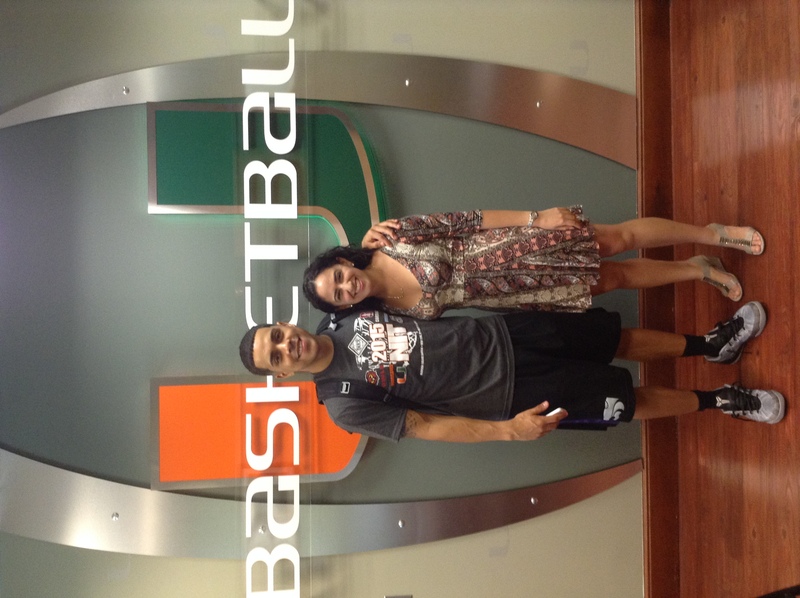 A month ago, The Miami Hurricane ran a story about how clever Rodriguez is on social media. The editor even spoke to the poser through the Facebook page, of course thinking it was Angel himself. “My friend edited that pic for me since it’s almost impossible to get verified,” Rodriguez said in a Facebook message. The real Angel did say he knows who runs the Facebook page. So strange. So very, very, very strange. But Angel thinks it’s pretty funny. He said the Twitter and Facebook pages never post anything negative, so that’s why he doesn’t mind. The only social media account Rodriguez uses is Instagram. “So everything you see on Instagram is me. That’s it,” he said. While laughing, I told him that I would unfollow his fake accounts. But actually…I am…right now.